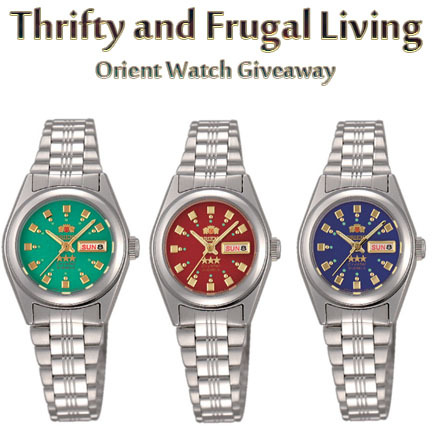 I am extremely pleased to bring you an Orient watch giveaway! 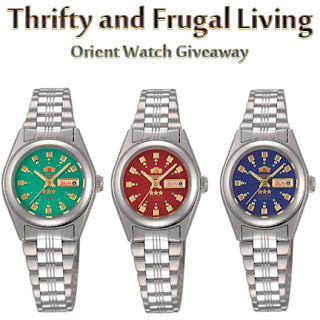 Orient has been around for over 60 years and they are known for having watches for sale that are unique, stylish and well made. For example, they have a really cool skeleton watch that has a window displaying the inside (or skeleton) of the watch. They carry watches that are dressy, sporty, fashionable, pocket watches and even diving watches. If you have not heard of Orient, you are missing out! I am SO jealous of you guys for having a chance to win one of these! Aren't they gorgeous? They are completely my style too. The Mandatory Entry must be completed first. In order to enter click below. Do not leave comments on this post as entries, they will not count. Good luck! Giveaway ends 5/18/11 at 9pm EST. Giveaway is for US residents. No P.O. Boxes. Winner will be chosen randomly. Winner will be contacted via e-mail and then will have 48 hours to respond before a new winner will be chosen. Disclaimer: I did not receive anything in exchange for hosting this giveaway, I am just doing it for my readers. I was compensated in no way. The thoughts here are my own honest opinions.